Damn, Dark Souls 3. I knew you were difficult, but this is ridiculous: according to Steam's achievements statistics, approximately 10% of players haven't even lit a single bonfire. For reference, the first bonfire in the game is less than 15 minutes in after the opening cutscene, beyond just a small handful of enemies. 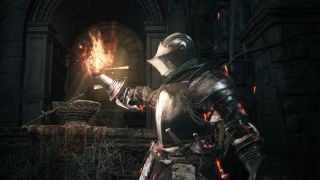 Now, it's possible that some of those who own Dark Souls 3 on PC haven't played the game much (or at all), but even so, one out of ten is still pretty ridiculous. Some other interesting stats: there's a 4% difference between those that have lit a bonfire and those that have beaten the first boss. Things drop off even sharper there, as roughly 11% of players who've beaten the first boss have yet to clear the second. The further into the game the achievements are, the fewer players have earned them. However, it seems that if you can manage to fight your way past Vordt of the Boreal Valley, you're on track to beat the game. Most players (20.9%) earn the "To Link The First Flame" ending, 13.7% earn the "The End of Fire" ending, and a mere 9.5% earn the "The Usurpation of Fire" ending. But if you really want to prove your mastery of FromSoftware's dark medieval world, you'll need to acquire every ring, every miracle, and learn every gesture, all of which each have a less than 2% completion. And for the truly elite, there's "The Dark Soul," an achievement given only when all others have been granted - so rare that less than 1% have earned it. So there you have it. If you've ever felt like tackling Dark Souls 3 was just too daunting a task, remember that, statistically speaking, most people who own the game (at least on PC) haven't beaten it either. Hooray?